How do I document a resource briefing in InciNotes™? Click on Resource drop down menu button, for the resource you want to brief or re-brief, click on the edit tab in the drop down menu this will pop up the a window for that resource. At the bottom of the resource window you will see the question, Have you briefed the crew? You will see an on/off button click the on button this will allow you to date and time stamp when you briefed the resource. How do I assure I have done a thorough briefing in InciNotes™? Next to the Briefing on/off switch you will see an (i) click on the (i), this will pop up the Briefing Check List out of the Incident Response Pocket Guide, just follow the format in the Briefing Checklist. 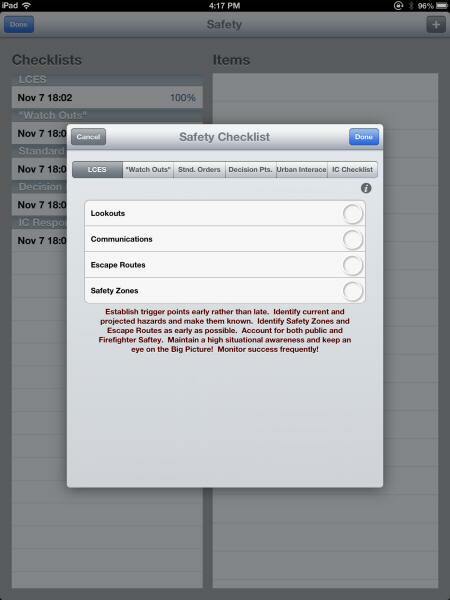 InciNotes is taking incident commanders into the new age of Incident Technology. 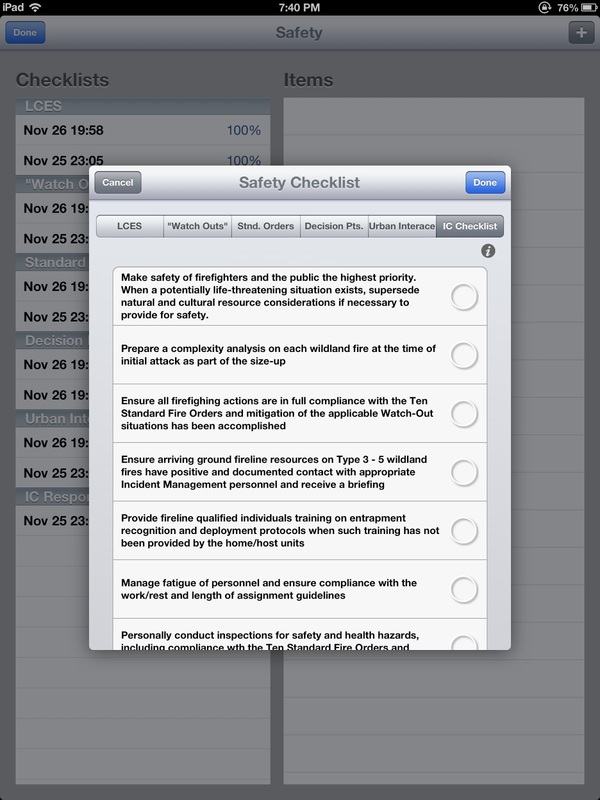 The incident safety screen screen allows the Incident Commander to document all aspects of incident safety, Lookouts, communications, escape routes , safety zones. 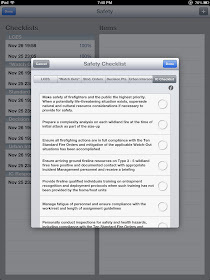 All required safety checklists that Incident commander is responsible for assuring are followed can be inputted in this screen and our documented by date and time of input. The Incident Commander Checklist lets the Incident Commander check off the list of his responsibilities and is document by date and time of inputted check offs.